How are we to assess and evaluate the quality of the tribunal systems that do the day-to-day work of adjudicating upon the disputes individuals have with government? This book examines how the idea of adjudicative quality works in practice by presenting a detailed case-study of the tribunal system responsible for determining appeals lodged by foreign nationals who claim that they will be at risk of persecution or ill-treatment on return to their country of origin. Over recent years, the asylum appeal process has become a major area of judicial decision-making and the most frequently restructured tribunal system. Asylum adjudication is also one of the most difficult areas of decision-making in the modern legal system. Integrating empirical research with legal analysis, this book provides an in-depth study of the development and operation of this tribunal system and of asylum decision-making. The book examines how this particular appeal process seeks to mediate the tension between the competing values under which it operates. There are chapters examining the organisation of the tribunal system, its procedures, the nature of fact-finding in asylum cases and the operation of onward rights of challenge. 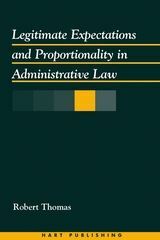 An examination as to how the tensions inherent in the idea of administrative justice are manifested in the context of a tribunal system responsible for making potentially life or death decisions, this book fills a gap in the literature and will be of value to those interested in administrative law and asylum adjudication. Binding Factual Precedent or Authoritative Guidance? 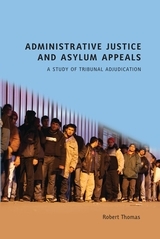 “This excellent work offers both a study of the asylum appeals system in the United Kingdom and a contribution to the broader stream of scholarship on administrative justice...It successfully performs the difficult double act of providing both an engaging introduction to the system's operation and considered detail and analysis of interest to those familiar with the jurisdiction. 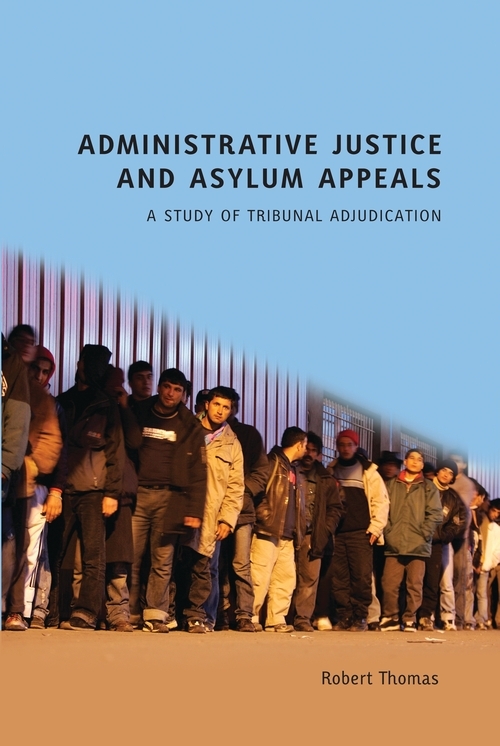 A work immersed in the particular context of asylum appeals, Administrative Justice and Asylum Appeals attends to the detail of the design and operation of the relevant tribunal processes, evaluating them against justice and managerial criteria. As a work on tribunal adjudication, Thomas argues both for an appreciation of the limits of what adjudication can achieve and for the benefits of inserting adjudication into the administrative process of determining eligibility for asylum. He makes a compelling case on both counts. “Written in clear and accessible language, this book offers an in depth and insightful review of the operations and functioning of the asylum appellate jurisdiction. A must read for those involved in the asylum decision-making process, this book is also highly recommended to anyone with an interest in administrative law or the asylum process itself. [The author's] assessment of the effectiveness and quality of asylum appeals is thought provoking and will almost certainly be a point of reference in future consultations and developments. “...an excellent analysis of refuge law which is underpinned by an empirical methodology that can rightly be compared to Mashaw's landmark study of American disability decision making. This landmark study will provide an enduring benchmark for any serious analysis of tribunals, administrative justice and refuge law and policy. A particular strength of this book lies in its analysis of the assessment of the credibility of applicants for refugee status and the use of country information by migration tribunals. The investigation of each area moves beyond analysis of court and tribunal decisions and other publicly available information, to include interviews conducted by the author. The resulting analysis is steeped in practical insights. “This book is densely packed with information, interest and insight…it can serve as a practitioner's textbook just as much as an academic study of asylum adjudication, and may be read with profit by judges, advocates and Home Office officials. They will find it surprisingly useful in their day-to-day work. Robert Thomas is a Senior Lecturer at the School of Law, University of Manchester.